From caring for a child’s first tooth to preventive treatments in older adults, the team at Weishaar & Weber Dentistry can handle all of your family’s dental needs. If you live in or near Spokane Valley, Washington, Dr. Anthony Weber, Dr. Sue Weishaar, and Dr. Lori Weber offer friendly, compassionate service for you and your entire family. Call the office today to schedule your appointment or book your consultation online. Family dentistry focuses on the dental and oral health of the entire family. That includes regular preventive care, like teeth cleanings, fluoride treatments, and X-rays, and corrective measures, such as filling cavities, performing root canals, and treating periodontal disease. Beyond traditional dental care, your dentist at Weishaar & Weber Dentistry also provides cosmetic procedures, including InvisalignⓇ clear aligners and teeth whitening. To give you the best experience possible, this team of professional dentists also offer sedation dentistry and oral surgery. What are preventive dental services? At Weishaar & Weber Dentistry, it’s not just about fixing your teeth; it’s about preventing decay and optimizing your oral and overall health. Because oral hygiene has such a significant impact on other areas of your health, their team takes a whole-person approach to dentistry. In some cases, your dentist may recommend specific products or equipment to help prevent tooth and gum decay. Your dentist at Weishaar & Weber Dentistry recommends that your child’s first dentist visit takes place after their first tooth comes in or at their first birthday, whichever comes first. In some cases, your dentist may apply a fluoride varnish. What can you expect from your first dentist appointment? On your first visit to Weishaar & Weber Dentistry, you get to meet the friendly and caring team, and you go to a comfortable private room. Either your dental hygienist or your dentist takes any necessary X-rays and cleans your teeth. Your dentist thoroughly examines your teeth, looking for any signs of tooth or gum decay. They also review your health history and ask about any medications you take. Your dentist also discusses your oral hygiene habits, and they create a treatment plan to handle any issues you have and implement preventive care measures. 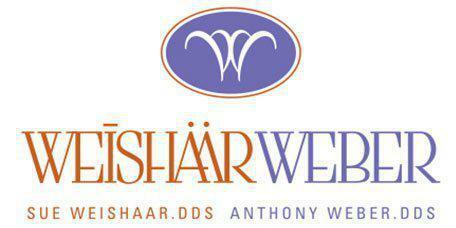 If you’re looking for a dentist for the whole family, call Weishaar & Weber Dentistry today to schedule your appointment or book online.